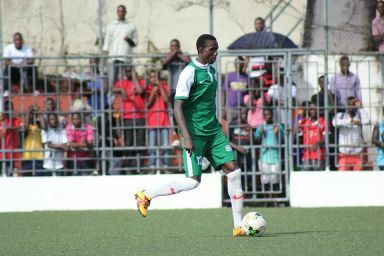 Liberia’s FA Cup Runner-Up, LISCR FC has disclosed the registration of a 30- man squad ahead of the club’s participation in the 2018/19 CAF Confederation Cup. The current squad has three goalkeepers, eight defenders, thirteen midfielders and six attackers in a composition of twenty-seven existing players and three new recruits (Sekou Kamara, Kelvin Kollie and Sam Jackson). The “Shipping Boys” have been drawn with an Algerian outfit, USM Bel Abbès (USMBA) in the 2018/2019 CAF Confederation Cup preliminary round. The “Shipping Boys” will begin their fourth African Confederation Cup campaign away at the Stade 24 Fevrier 1956, Sidi Bel Abbès, Algeria, following the draw of the tournament’s 16th edition that took place in Cairo. The Gardnersville-based side will play its first leg at the weekend of 27–28 November 2018 and the return clash is slated for 4–5 December 2018. LISCR FC goes into the competition at the expensed of Barrack Young Controller (BYC), who captured a “Double Championship” in the 2018 Liberia Football Association (LFA) national league. If, LISCR FC advances, Coach Tapha Manneh’s men will play the either of the Enugu Rangers of Nigeria or Ethiopia Defense Force of Ethiopia on 14–16 December 2018 and return leg on 21–23 December 2018. LISCR FC hopes to make a significant impact in the competition, and the list presented to CAF, as put together by coach Tapha Manneh and the technical staff of the club, is expected to garner that feat. Coach Manneh has named Ashley Williams, Armah Moore and Tommy Songo for the goalkeeping department. As for the defensive structure, Emmanuel Tarpeh, Kemoh Kamara, Daniel Woto, Arona Jabang, Asiamuh Dann, Adama Sabally, Hilton Varney and Darius Kah have been named. Tapha Manneh’s mid-field will parade likes of: Allen Njie, Saah Nyumah, Sheku Sheriff, Benjamin Doe, Armah Vaikainah, Sekou Kamara, Aaron Sargbah, Markey Morgan, Sam Jackson, Varney Sando, Bully Drammeh, Amadiah Kawah and Edward Ledlum. The striking force has the combination of Sam Kollie, Alloy Brown, Mark Paye, Prince Urey, Mustapha Njie and Kelvin Kollie.